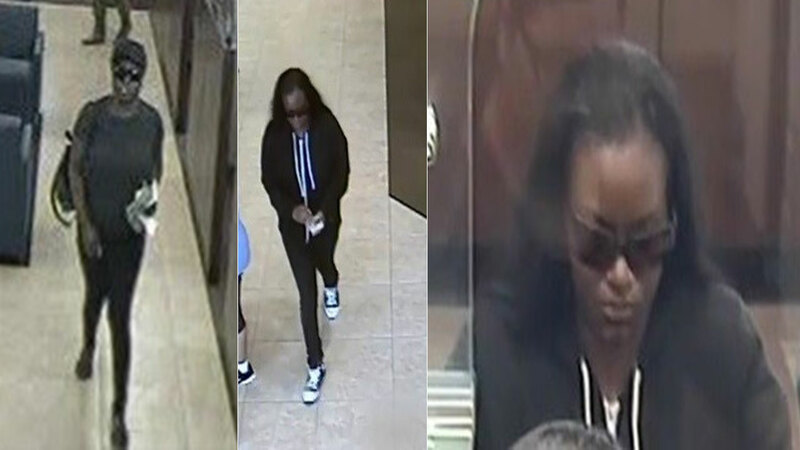 LOS ANGELES (KABC) -- Authorities are looking for a woman nicknamed The South Bay Bandit for three bank robberies and one attempted robbery in Los Angeles County. The incidents all took place in the South Bay region of LA this summer. Authorities say the woman says little during the robberies, but passes a note to the teller demanding thousands of dollars in cash. One note suggested the suspect had an armed associate monitoring the situation and the teller should comply or face harm. The banks that were robbed were in these locations: Manhattan Beach, June 27; El Segundo, July 20; Gardena, Aug. 28; and an attempted robbery in Torrance on Aug. 28. Anyone with information is asked to call the FBI at (310)477-6565. RELATED: Information on Los Angeles-area bank robbers.